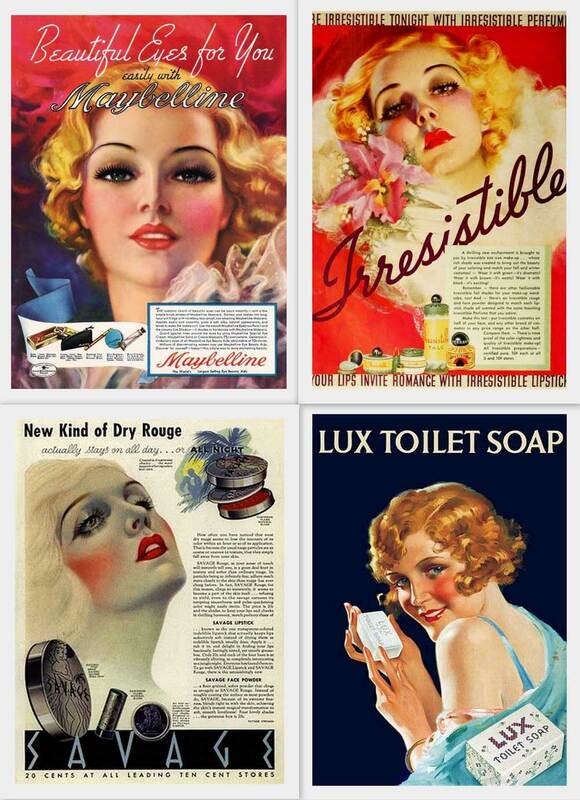 As evidenced by the extremely brightly rouged cheeks in these vintage cosmetic ads, rouged cheeks were quite popular in the early 20th century. 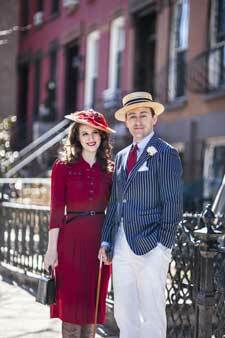 The Bésame Crimson Rouge is one way to achieve this highly-rouged look, or you can go lighter with your application for a softer, more modern look. 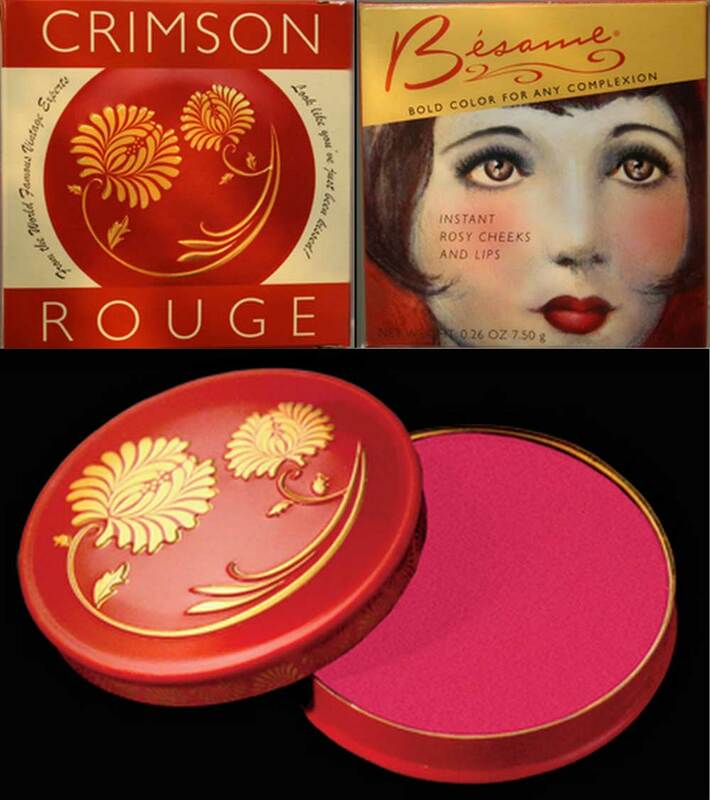 Crimson Cream Rouge is a bright, waxy, highly pigmented cream that can be used on both lips and cheeks. The description says that it is beautiful on any skintone and given its brightness I would say that if applied correctly it would indeed look lovely on a wide range of skintones. 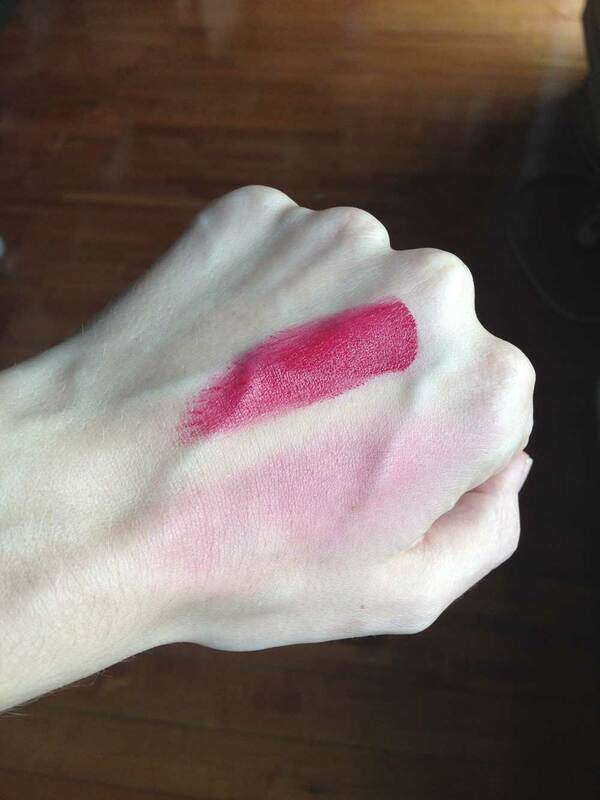 It appears red in the tin (despite the color you see in the picture), but when blended out on the skin it reads more like a bright pink, and does create a lovely flush to the cheeks. In the picture of the back of my hand you can see the cream applied directly from the container and blended out. Because it is so highly pigmented, you need to be extremely delicate with the application. Dab the cream with your middle and ring fingers, then dab the cream on the back of your opposite hand to dilute the color, then lightly pat onto your cheeks and lips. Remember, you can always add more as needed and it’s much easier to add more than to take it off! Looks like a good one for me to try as long as it is lightly applied. I don’t want to look like a clown. Yes, it takes a light hand, it is very pigmented!